After 19 years with the Catalan club, Victor Valdes is leaving Barcelona, a club he's been with since the age of 13 when he joined their youth system from Tenerife. 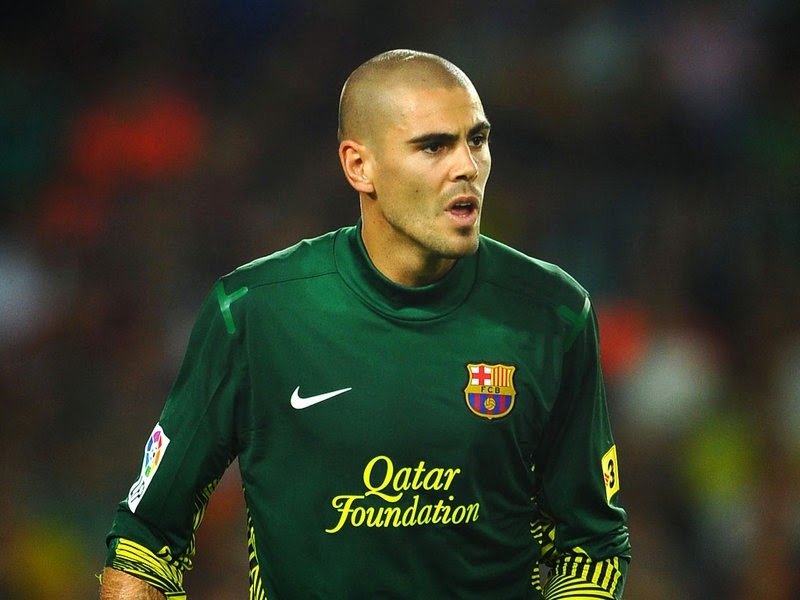 Valdes was born in a small town bordering Barcelona, and being a Catalan himself, saying his goodbyes must have been difficult for a man that had played almost 400 matches for his only club as a professional footballer. Here is the English version of an open letter posted by Valdes on Barcelona's website. Thank you Pep, for having opened the door to playing a game that was unknown to me, for guiding me a long the road where one has to keep looking for success, and we did it together, right? We’ll always have that Mister, and believe me, it will be eternal! Thanks to all my colleagues with whom I’ve had the pleasure to work with, that involves wearing the Barca crest on our chest day after day, for making me feel important within the group that we developed over all these years. Because it all comes down to this, we are who we are, here and now. Thank you gentlemen! And of course I cannot forget the most important people, over these twelve years as a professional, wearing this shirt, my most loyal fans. Those people who, whatever happened, were always there to give me the support a fighter always needs, proud to be there supporting me in the celebrations, giving your support in every game, sending me the positive energy that I have always felt, which kept me going all this time, because without it, it would have been impossible to do it alone.